The credit for the first car ever made or for the invention of the first car is given to Karl Benz of the Benz car fame. He patented the first car ever made in 1886. However, the car’s history goes back much further. Many attempts were made to build a vehicle that would propel itself – and it is said that around 150 BC there is such a reference where Hero of Alexandria thought about using steam power instead of horses. Around the 15th century, Leonardo da Vinci designed and modeled transport vehicles. Da Vinci was a famous Italian artist and inventor and he came up with illustrations of automated carriages. 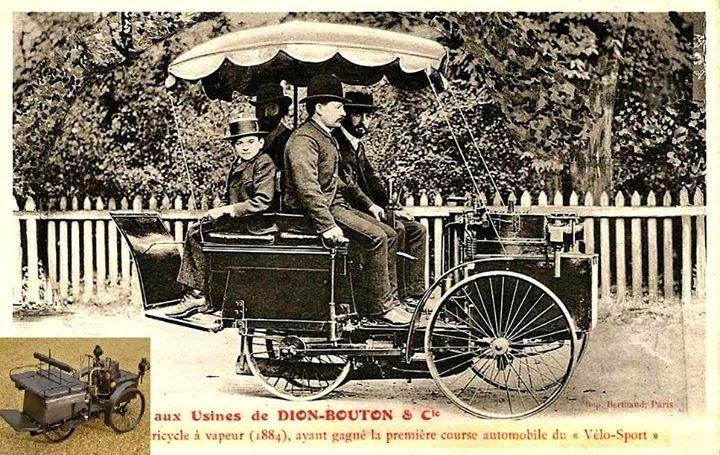 Many more people tried to come up with steam-powered cars during the 1700s and the 1800s. Nicholas Cugnot, a French man built the Cugnot Carriage in 1769. This military engineer assembled a three wheeled steam powered tractor type vehicle to carry artillery. When his vehicle ran into a stone wall, it was recorded in history as the first auto accident! Sir Goldsworth Gurney an English man built the Gurney Steam Coach in 1825. The problem with steam cars was they were huge and cumbersome and others tried to build a smaller engine that would power cars. Around 1860, Etienne Lenoir came up with the Internal Combustion Engine. It actually used coal gas. This vehicle took three hours to travel seven miles and Lenoir gave up on experimenting with cars after that. In 1876 Nikolous Augustus Otto built a better internal combustion engine. Today’s car engine is similar to Otto’s engine. This engine was more practical and used a four-stroke cycle of a piston that drew a fuel-air mixture into a cylinder. This piston then compressed the mixture, mechanically captured the energy after ignition and then expelled the exhaust before it started another new cycle. Several people were working on building a small car with an internal combustion engine simultaneously. German engineers, Gottlieb Daimler and Karl Benz, improved Otto’s design and used the motors in various vehicles. After a while, these two people merged their companies to form Diamler-Benz. This company makes the Mercedes-Benz cars we see today. Mercedes was the name of Emil Jellinek’s daughter. Emil raced and sold Diamler-Benz cars. By the turn of the 20th century, there were about ten thousand cars on the road. A major portion of these was built with external combustion steam engines while some ran on electricity. Obviously the internal gas burning combustion engine was the better idea. Improvements in auto parts like brakes, tires, lights, and transmissions etc. were being made to make the car more feasible. Around the early 1890s, there were lots of rudimentary cars on the roads – open topped, jerky models chugging around. Apparently these scared the livestock in the fields and Vermont even had a law that required one person to walk in front of the car holding a red flag while cars were banned in some of the counties. In the US, Oliver Evans owned the first automobile patent in the year 1789. A few years later, Evans presented his first vehicle that could propel itself. This was the first steam-powered automobile in the US. Not only that, it was also amphibious, being able to navigate itself on wheels on land and with a paddle wheel in water. 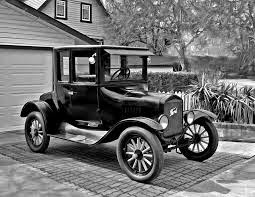 In 1908, the Ford Motor Company made the first people’s car, the Model T, also fondly referred to as the Tin Lizzie. Henry Ford’s aim was to make the car available to the common man since the rich were the ones who could afford to own automobiles. The Model T’s body used lightweight sheet steel.